WALKINGMAMMA is a SparkPeople Motivator! My name is Angela. I am working towards my goals of walking a marathon and eventually doing a triathalon. 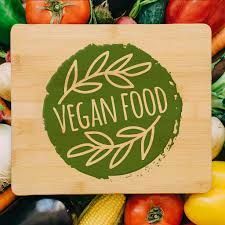 I am a Vegan who wants to loose weight through healthy food and exercise. Well, I have been on SP for two and a half years. I hit goal weight on Independence Day 2011!!!!!!! I lost 100 pounds! I also began running over a year ago....Something I NEVER thought that I would be able to do..... Now, I am experiencing a NEW normal for me....Maintenance. I want to lose weight. I want to racewalk a marathon. I want to be willing to be seen in a swim suit so that I can start training for a sprint triathalon. To finish Couch to 5k. Run a 5k. I WILL track my food intake and exercise. I will strive for eating Nutrient dense food 75% of the time. I will drink my water. My name is Angela. I am working towards my goals of walking a marathon and eventually doing a triathalon. I am a Vegan who wants to loose weight through healthy food and exercise. Well, I have been on SP for two and a half years. I hit goal weight on Independence Day 2011!!!!!!! I lost 100 pounds! I also began running over a year ago....Something I NEVER thought that I would be able to do..... Now, I am experiencing a NEW normal for me....Maintenance. I want to lose weight. I want to racewalk a marathon. I want to be willing to be seen in a swim suit so that I can start training for a sprint triathalon. To finish Couch to 5k. Run a 5k. All the best for your journey. I used to do triathlons all of the time. I sure miss them. I am also a former runner. I can no longer run due to having 2 total knees. I am starting to get back on the bike tho and who knows? I may get to do a triathlon or two. on being featured as this week's Spark Motivator! !